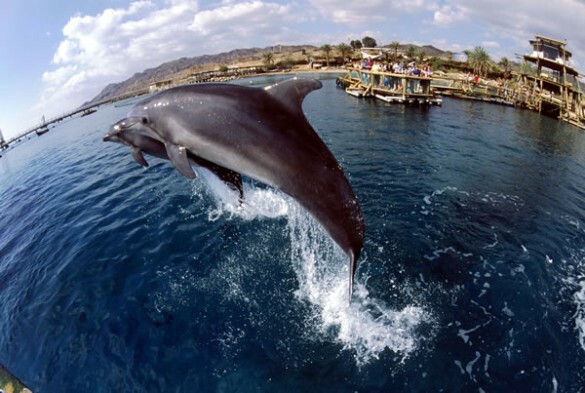 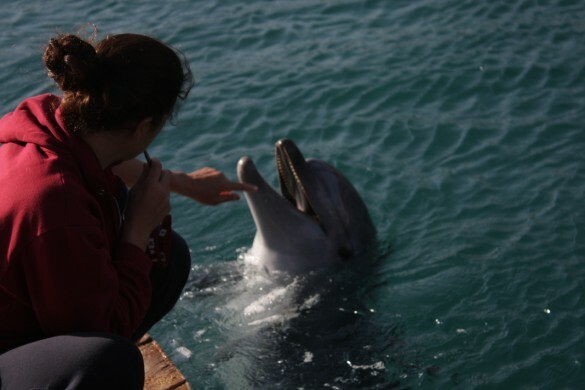 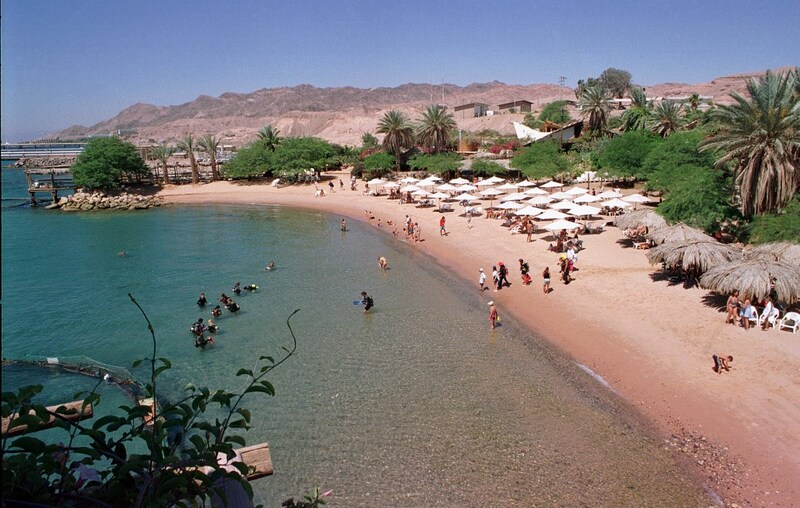 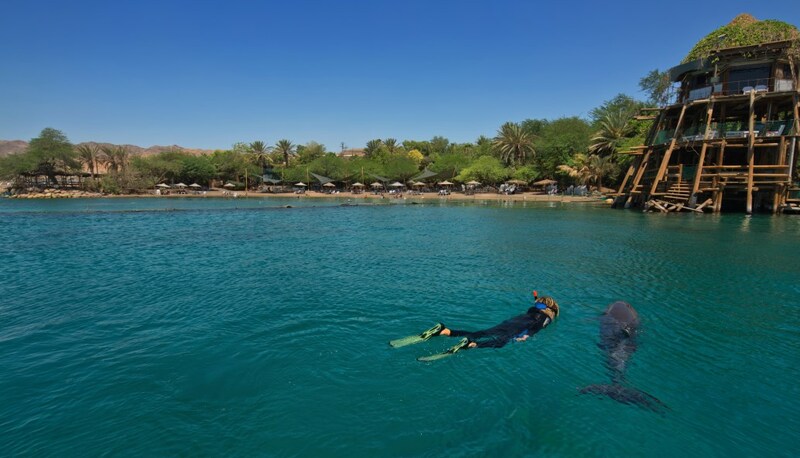 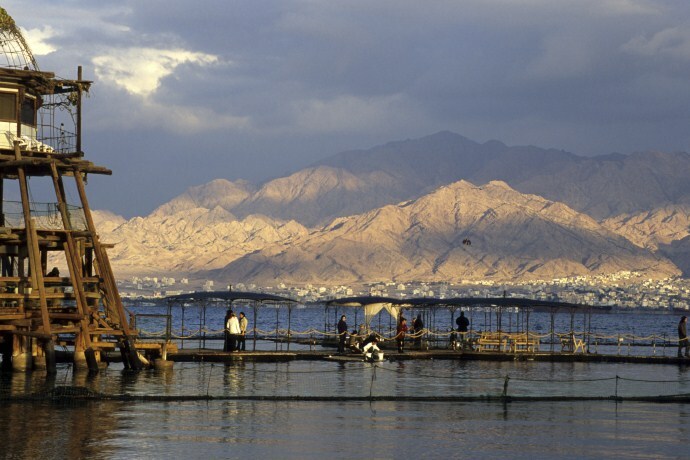 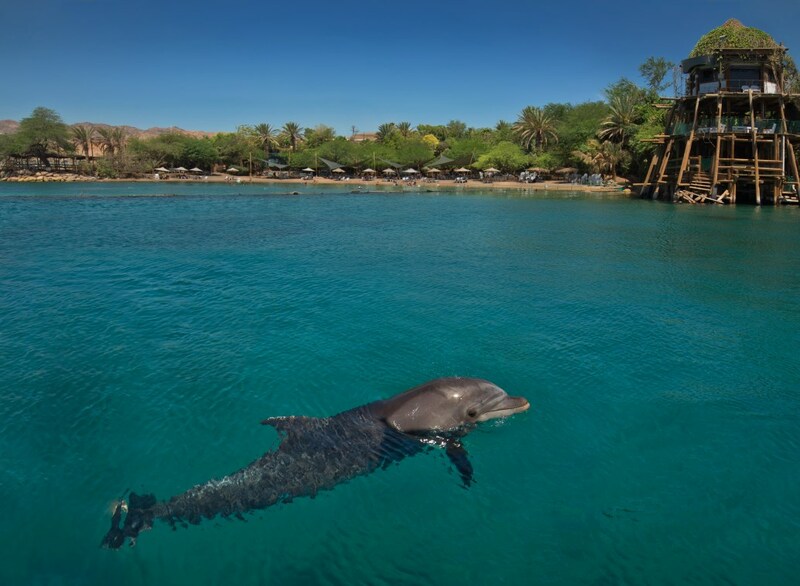 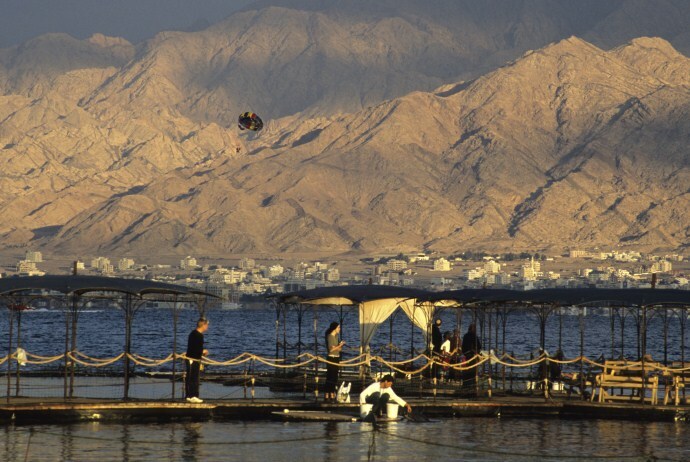 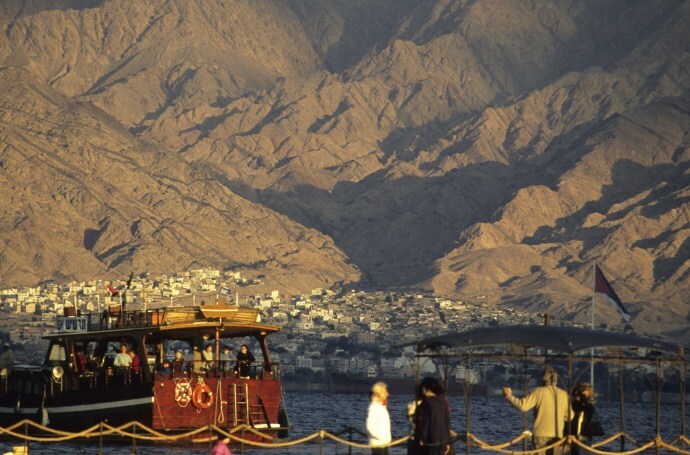 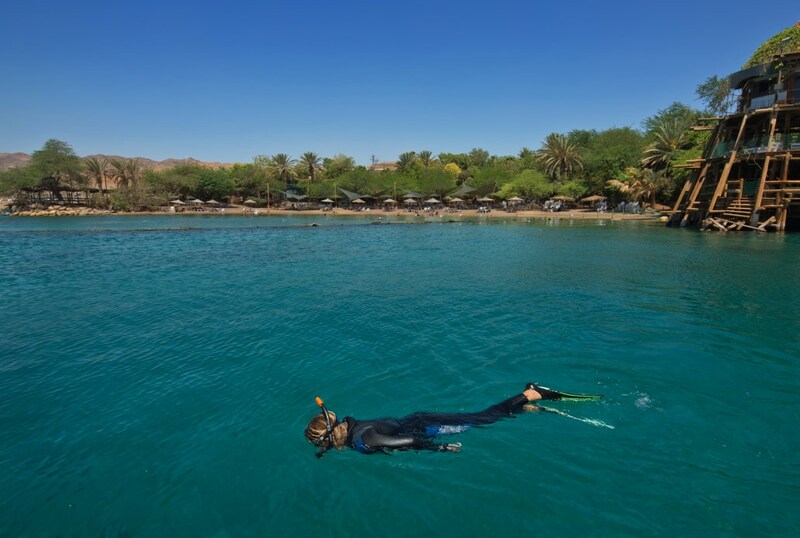 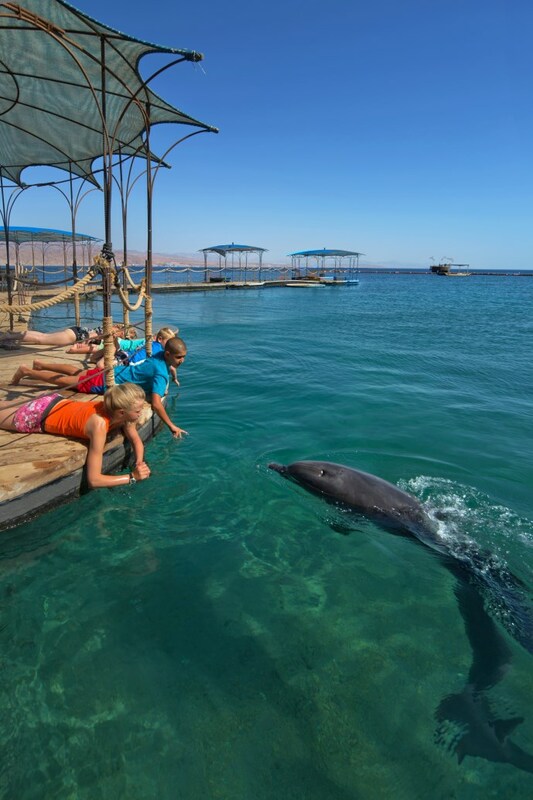 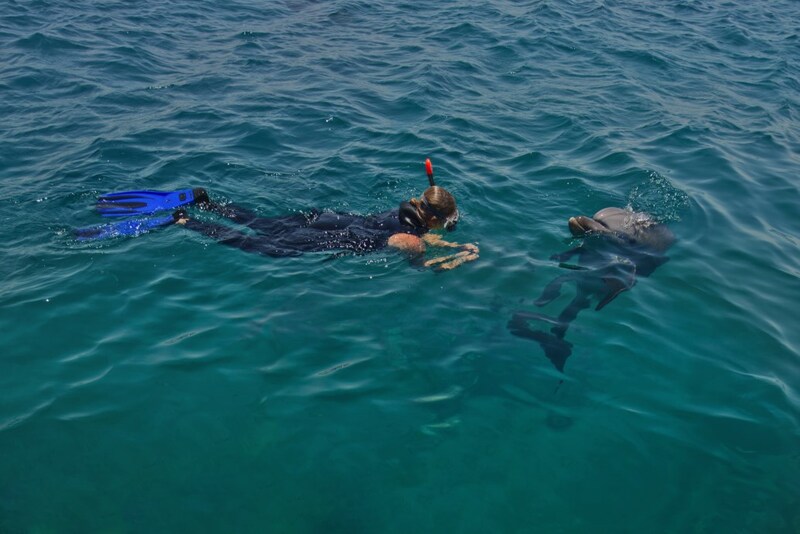 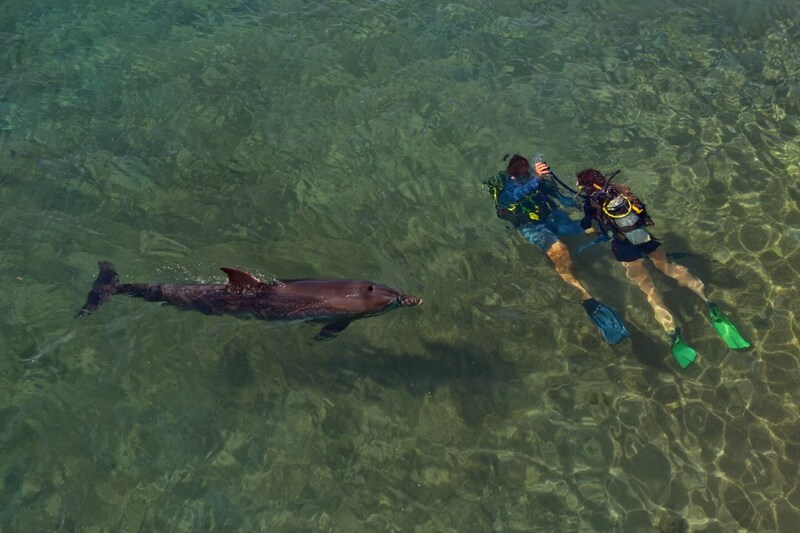 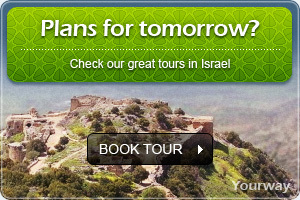 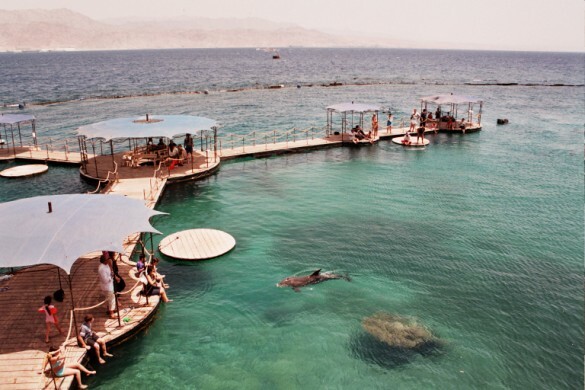 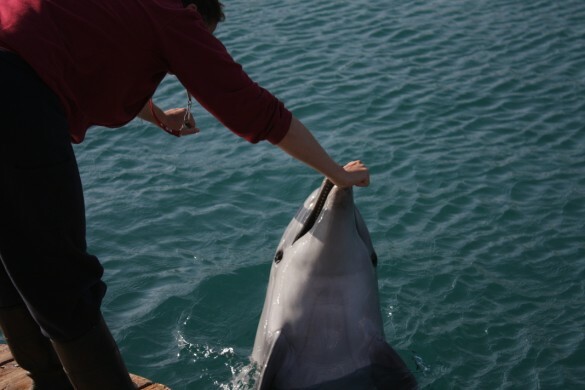 Dolphin Reef, on the shores of the Red Sea, is an ecological site unique in Israel and throughout the world where visitors can enjoy a natural atmosphere, magical views, secluded beach, together with the unusual opportunity of meeting and observing dolphins in their natural habitat. 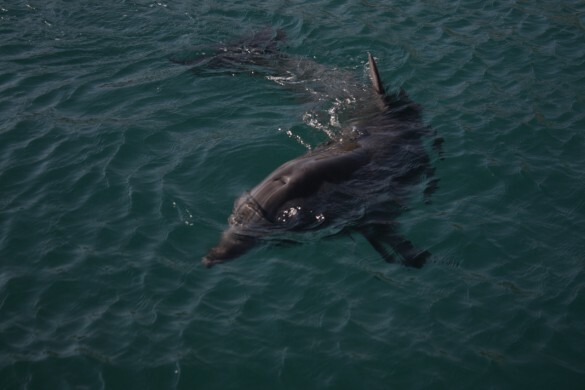 A group of “bottlenose” dolphins, including babies born at the site, maintain their daily routine of hunting, playing, courting and socializing. 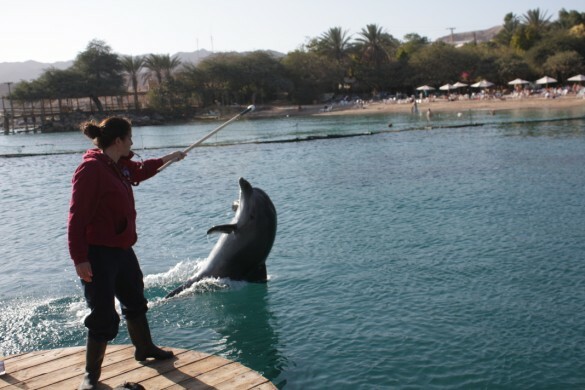 They are free to choose between human company or to continue their daily routine in the group. 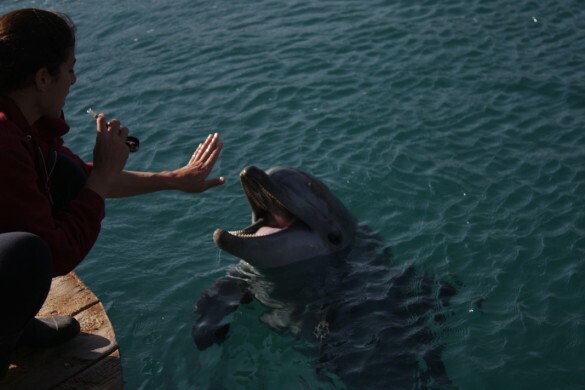 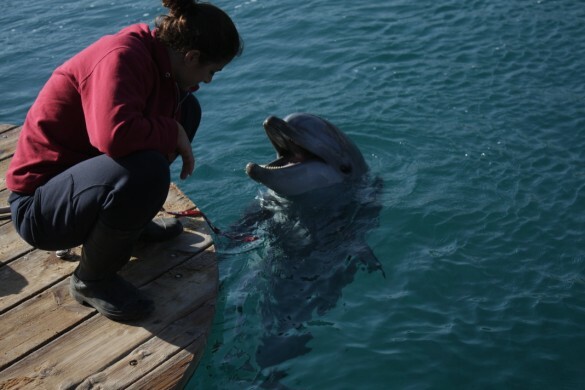 The fact that the dolphins che to be with us reinforces, in our opinion, the true bond created between them and us. 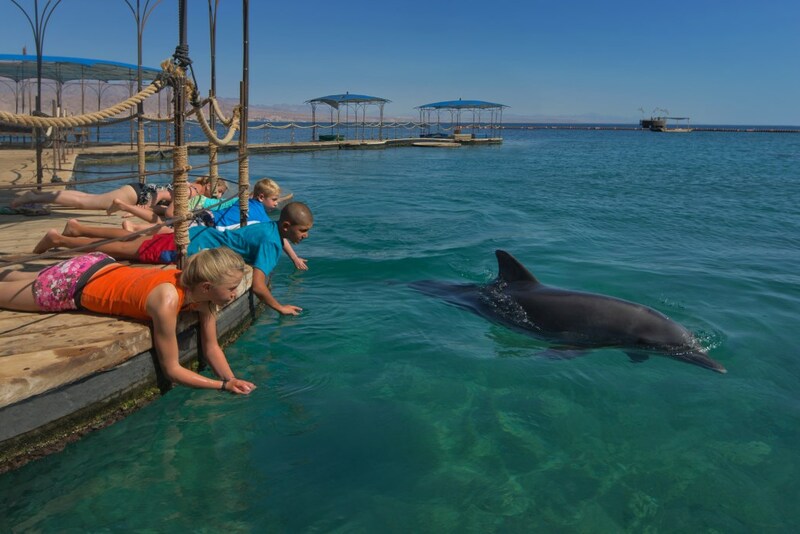 Visitors can enjoy getting close to the dolphins from our floating piers and observation points or during one of our guided swims or dives, suitable to anyone who is not afraid of getting wet. 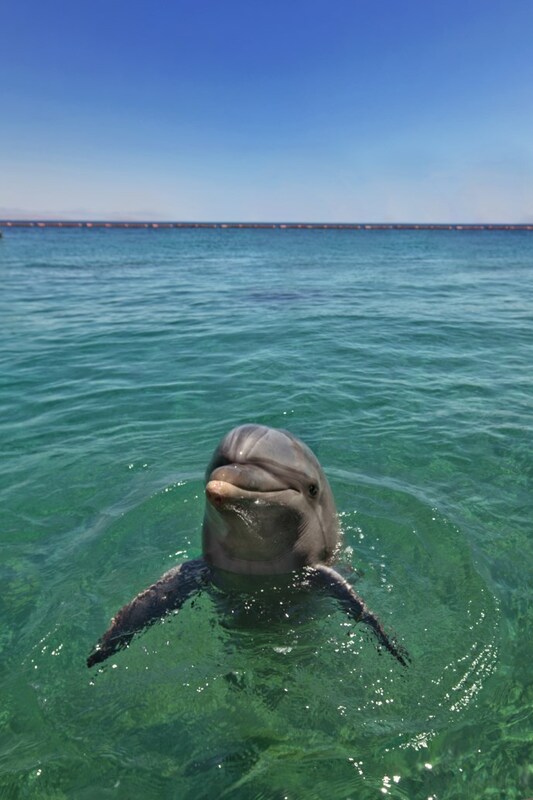 Entrance fee includes: A day of enjoyment in an ambiance of nature, with magical views, secluded spots on the beach, observation of dolphins in nature and nature films. 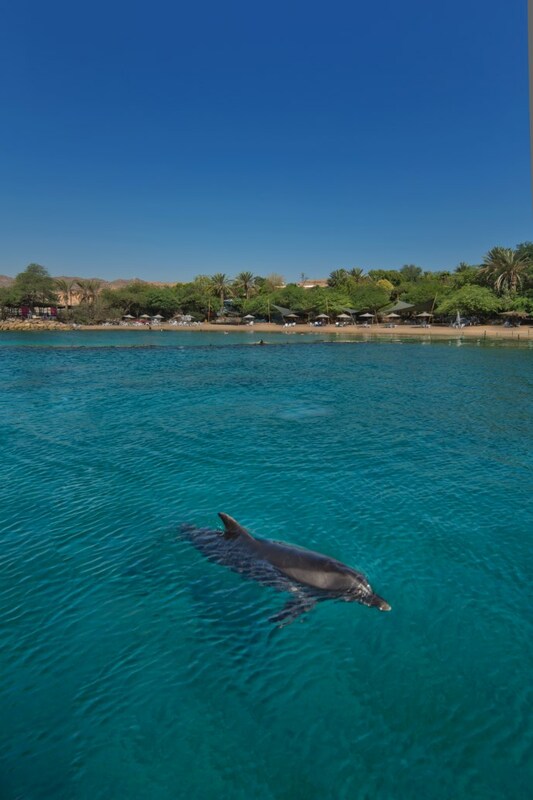 (No lifeguard on the beach) Additional facilities at extra cost: Snorkeling and Diving Center, Restaurant Cafe/Bar on the Beach, Relaxation Pools, Children's Activity Center, Underwater Photography Center, Souvenir Shop.